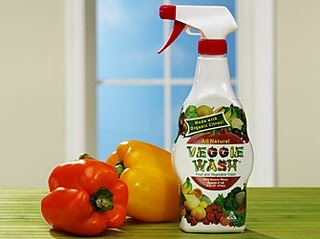 Get a FREE sample of Veggie Wash. Veggie Wash 100% Natural Fruit and Vegetable Wash. Now with 100% natural VEGGIE WASH, you and your family can enjoy the natural goodness and delicious flavor of cleaner, safer fruits and vegetables. Call 1-800-453-8311. You will speak to a live operator. She will ask if you are calling for a free sample, then ask for your name, address and how did you hear about the offer. Say “VEGETARIAN TIMES MAGAZINE” in order to get the sample! This offer is available to the U.S. for a limited time. You will receive your sample in 2 – 4 weeks. I just called to verify this offer and it is good. Be prepared for a 3-5 minute hold time.